Just like many other smartphones that are a number of different accessories available for the Apple iPhone especially docks. Obviously the company muddied the waters recently with the launch of the latest model and the Lightning Connector, but today we have the stylish iPhone OCDock to show you that is perfect for iMacs and other Apple displays. The product in question is another project that can be found over on the Kickstarter website, and looks to have a very good chance of getting off the ground. The stylish dock that can be seen on this page and in the video below has been designed to remove items from your desk, and will integrate seamlessly with an iMac or Thunderbolt Display. It uses a specially developed ultra thin cable that runs beneath the display stand that makes the dock look wireless, and in turn reduces the clutter on your desk. The OCDock cleverly clicks onto the base of an Apple display stand that provides more space, and it has the same technologies and materials as the iPhone maker uses itself. The product has been CNC machined using a solid piece of high grade aluminium that has been glass bead blasted and anodized, which will match the finish of the Apple display. The dock has been six months in development with more than thirty prototypes using different designs used before the final design was reached. In use the iMac will still sit firmly on your desk with no danger of the unit sliding or moving in any direction, and the product will allow users to do things such as making calls or sending SMS messages via their Mac and more. As with all Kickstarter projects the iPhone OCDock needs to get backers to raise the $49,000 target, and at the time of writing it has reached $33,158 from 391 backers with another 16 days still to go. To see more of the iPhone OCDock check the video out below or hit the link above. 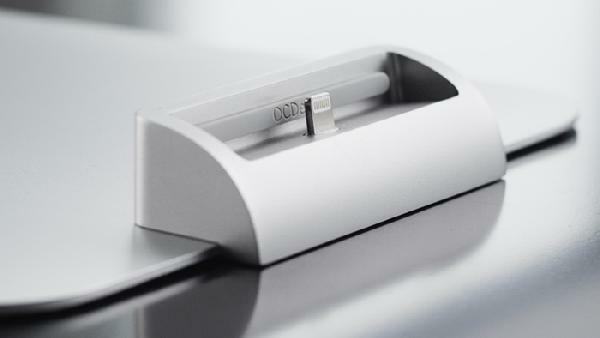 Do like the look of the iPhone OCDock? So what does it do (beyond charging the phone)? Does it only display the phone on the monitor (i.e. a simple HDMI connection on an Android phone), or can you also operate the phone and use apps on the screen using the computer mouse and keyboard?